…. 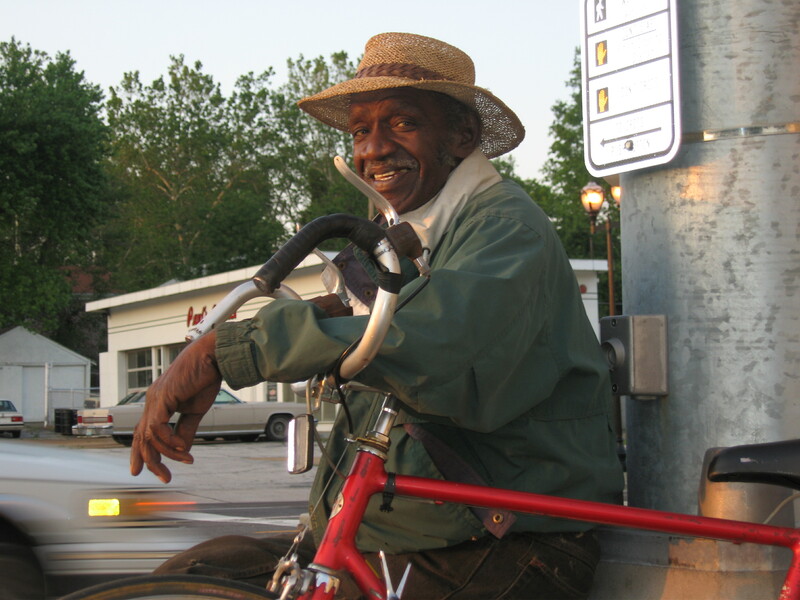 Then home, and there was Alvin, sitting on the corner with his bicycle, watching the sun go down. I told him I couldn’t find the passage in Ecclesiastes about “blessed are the eyes that behold the sun,” and he quoted the entire chapter for me- He thinks it’s chapter 11. Says that some people have more evil than others, and some more good than others, and it’s all a mystery. I said I like it that way, I like mystery. No point in knowing everything. Alvin left a note on the car yesterday telling me where in Ecclesiastes to find the saying about the eyes beholding the sun- Chapter 11, 7th verse. I talked with him tonight, sat out on the stoop with him. He got out of the state penitentiary in 1969. Said it was in the penitentiary that he was saved. He’s been watching the sun rise and set every day since then, since the day he got out. Says God blesses him and tries him. What a beautiful gift to have known Alvin and thank you for sharing him with us. And thank you for taking the time to stop and watch sunsets with him. Thanks, Cammy. He was a treasure.